A lot of people really struggle with depression and S.A.D during the winter months, which means practicing self care is a must! It can be really hard to know where to start though, especially when it’s dark for most of the day and the weather leaves a lot to be desired. I ended up having a meltdown yesterday and I’m still struggling with the side effects today. I had my driving lesson this morning and while my instructor said it had gone really well, I felt it was one of my worst and thats really knocked my confidence. So rather than overthinking things like I usually do, I’m going to take some time to practice what I preach and have a few hours of self care time; either finishing my new book or making yet another another new character on Skyrim. I have character commitment issues I swear! Because let’s face it; what better way is there to spend a cold day than curled up all toasty and warm, in your thickest duvet, while it’s freezing cold outside? Not that any of us really need an one, but it’s always nice to have an excuse to do nothing more that escape into your favourite boxsets while eating all the snacks in the house. What I watch depends so much on my mood, I can easily switch from documentaries about mass murder and serial killers to Downton Abbey! However these are some of my current favourites to binge watch when I need a self care day. For me books have always had two main purposes; as a way to escape from reality and as a way to learn something new. When I need some self care time, theres nothing better than curing up with a hot chocolate and re-reading one of my favourite books. Harry Potter is pretty much a given on really bad days, but having a kindle means I can buy and read any book that appeals to me on the day. Don’t get me wrong, I love traditional physical books, but I’m quickly falling more and more in love with my Kindle Paperwhite. It’s so much more practical, especially when you’re travelling or on holiday! I grew up baking every weekend with my auntie and it’s still something I enjoy doing. We’d put some Elvis on the CD player and sing along while making scones and butterfly buns. I hardly ever get the chance to bake these days, but I’m planning on getting some basic ingredients in so that when I actually do have some free time, I won’t be put off by the fact I don’t have anything in to bake with. This might just be something me and my mum enjoy doing, but I love to just sit and watch the world go by. There doesn’t even really need to be anything happening, I just find sitting in silence so relaxing. It’s also a great time to practice mindfulness and meditation; I’ll just get myself comfortable, focus on my breathing and let my mind be still. I can sometimes be too busy to write posts as and when inspiration strikes, especially when I’m at university, so I try and have a handful of posts pre written at all times. Autumn and Winter are always the best times for my creativity, I can never get anything done in the summer because of the heat; it just drains all of my energy! What are some of your favourite ways to practice self care during winter? 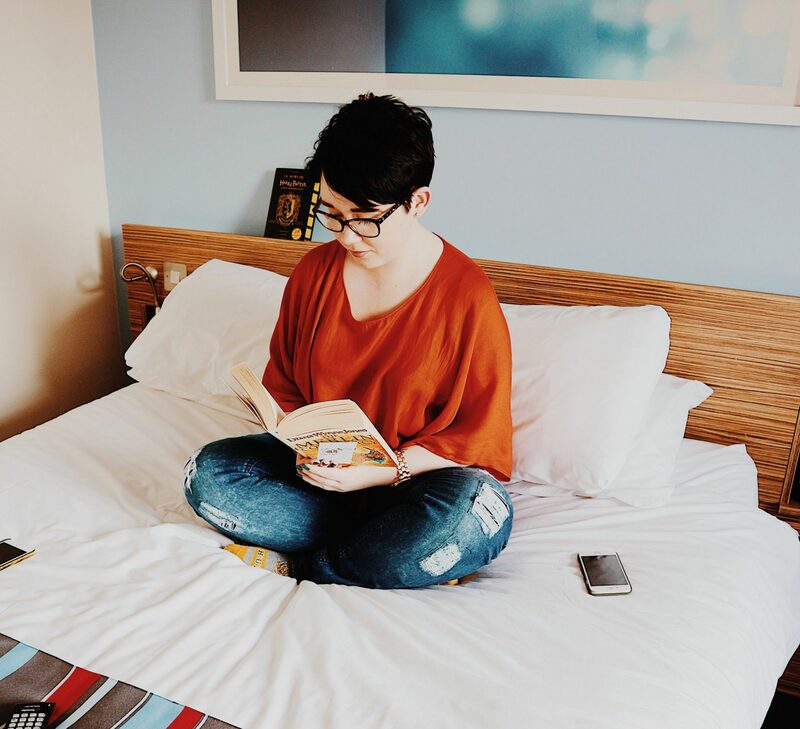 "Learning To Accept Who I Really Am- #ILiveItIBlogIt"
I’m glad you think the length is right, I’ve been trying to do shorter posts so I can blog more often but I keep worrying they’re too short/not useful/don’t made sense so thank you for the encouragement! And I think varying post lengths are totally okay. I tend to write way too much, so I’m also working on shortening. It’s not easy. I also scheduled a post for the first time this weekend, which was cool! It meant I was ahead instead of writing to publish immediately. These are great ideas. I’d also add a bubble bath to the list, the warm water is great for relieving muscle strain and tension. I always feel very relaxed in the tub.